This is one crazy May !! The last day; maybe, June will bring better rainfall. I am a NWS, NOAA, WeatherLink, and Weather Underground reporting station. 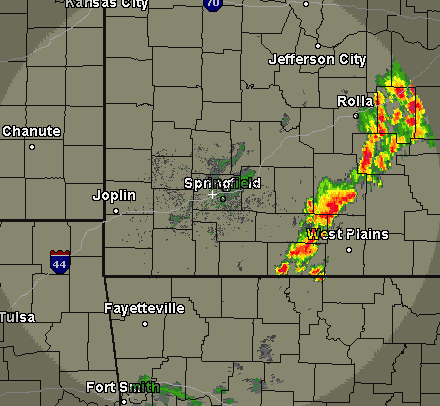 OH, tons of lightning every morning around 3-5 AM. They return to breed every summer but seemed late this year. 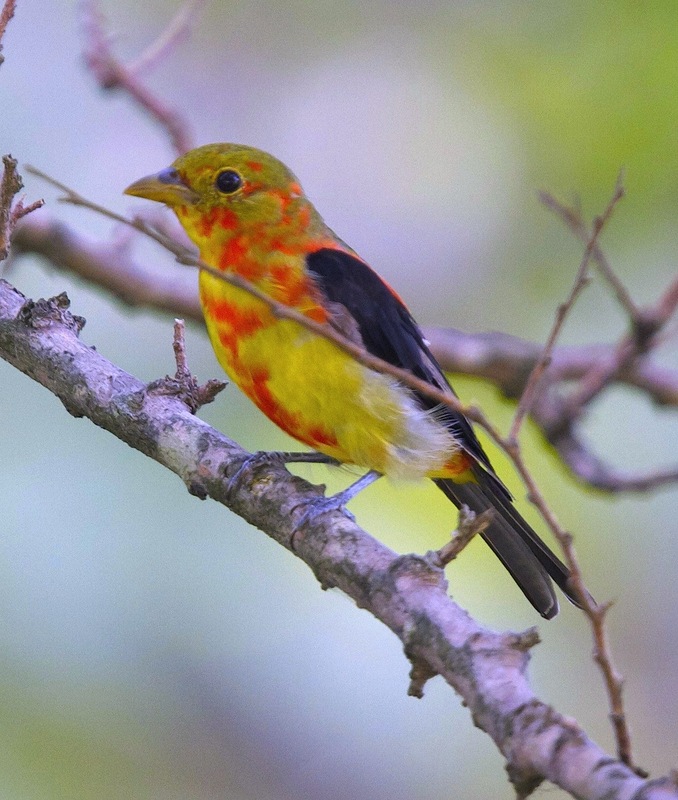 They can be mistaken for an Indigo Bunting but are twice the size with orange streaks on the wing bars. Male deep blue with two brown wingbars. Female mostly brown with two brown wingbars. Black in front of eyes extending down to bill. Flight feathers dark brown to black, with blue edging. 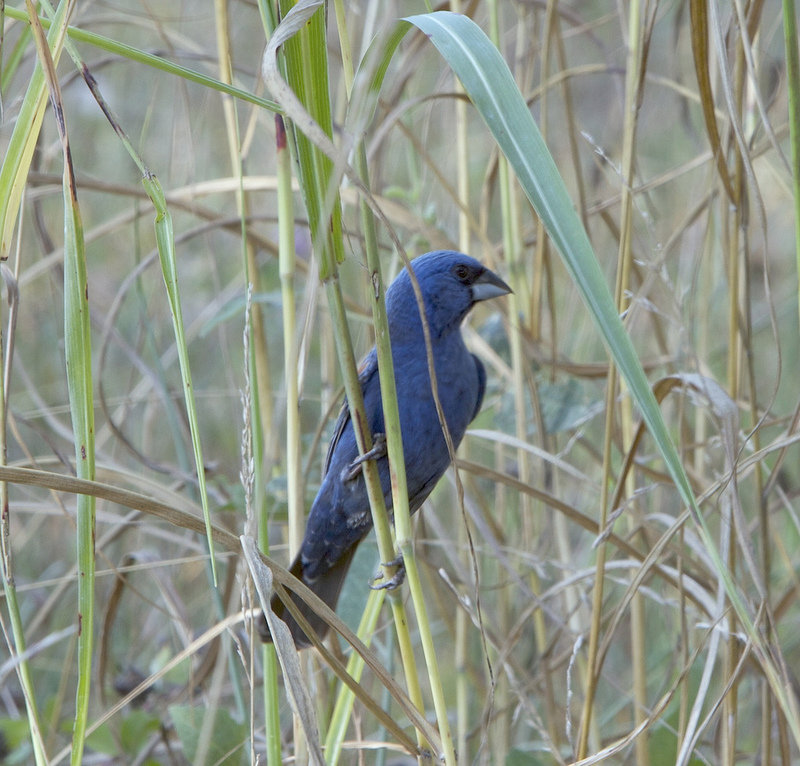 Breeding (Alternate) Plumage: Blue all over, with brown wingbars. Nonbreeding (Basic) Plumage: Body blue with brownish feather edges. Brown all over, with some blue feathers on back. Flight feathers dark brown to black, with brown edging. 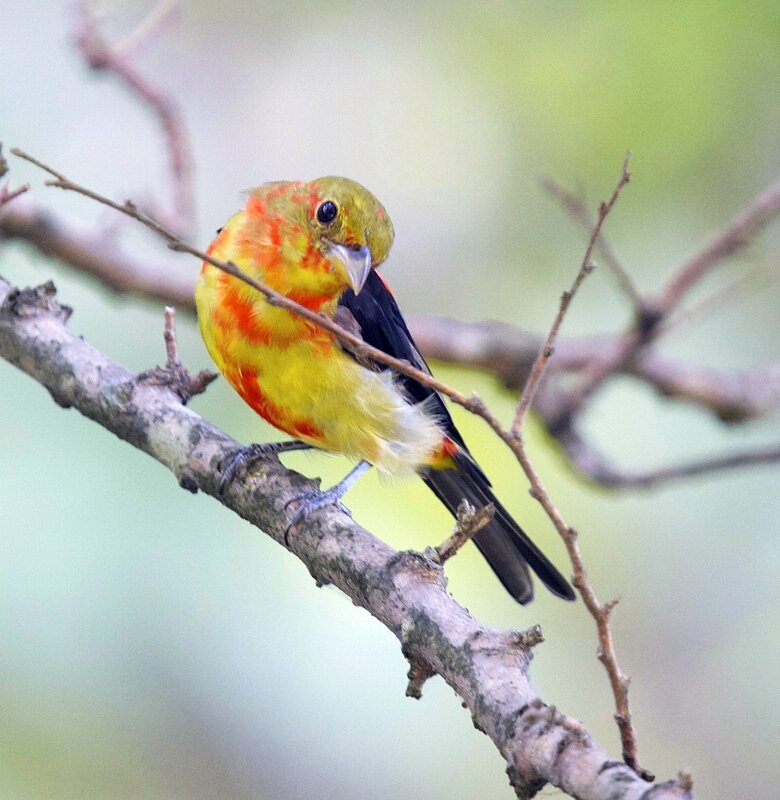 First-year female resembles adult female, with even less blue on the upperparts. 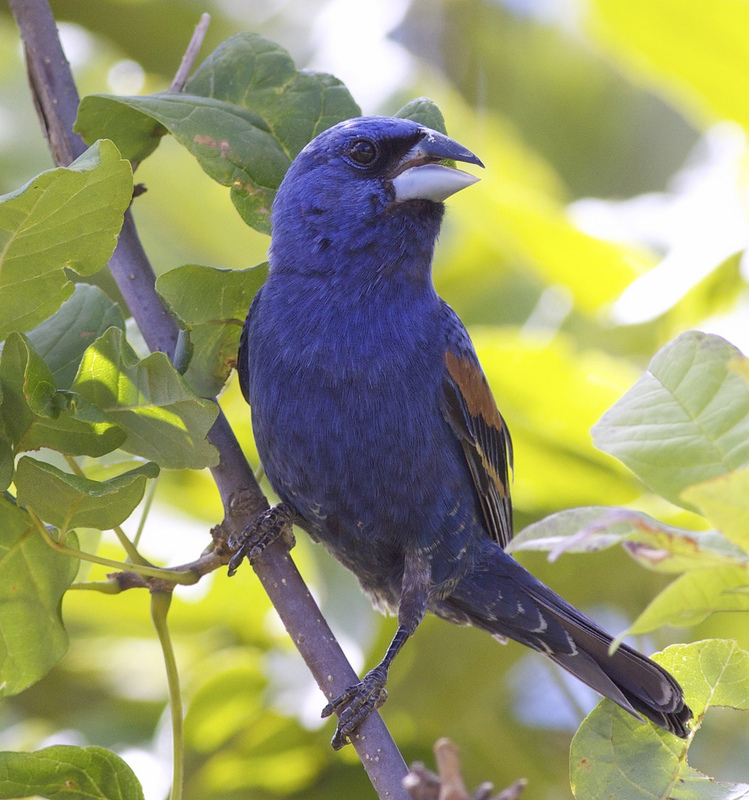 First-year male, through the first full summer of life, shows plumage intermediate between that of adult female and adult male, with variable amounts of blue mixed with brown. 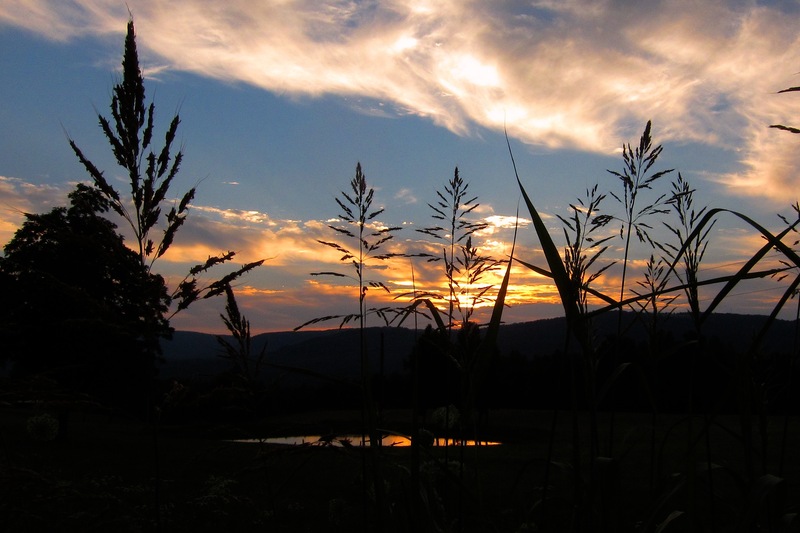 With high temperatures hovering in the low-90’s, everyday, this past week; it felt like July-August in the Boston Mountains; fortunate the atmosphere was drying with dew points falling into the 50’s late Sunday (that only helps comfort), and does not supply rain. The forecast today for the High Ozarks is HOT, but there is an increasing chance for rain through this Memorial Day week, as a cold front sags southward towards us. The chance for rain by Wednesday this week is 70% (at this time). It is going to take in the neighborhood of 2 inches over several days to do much good now. The hay is burning up; wildflowers drying up, creek beds and river beds are dusty; as are the roads; even the wildlife seems lazy. Of course, any rain is welcome but the situation has become serious now with virtually NO rain in May. 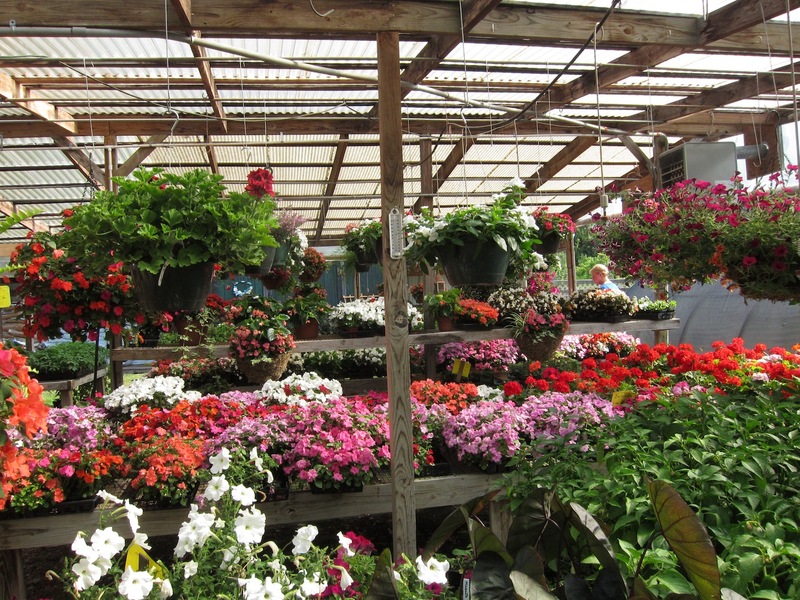 Looking for annuals, perennials, fruit trees, shrubs, accessories, mulch, soil, pots, trellises, vegetables, berries, and more ?? 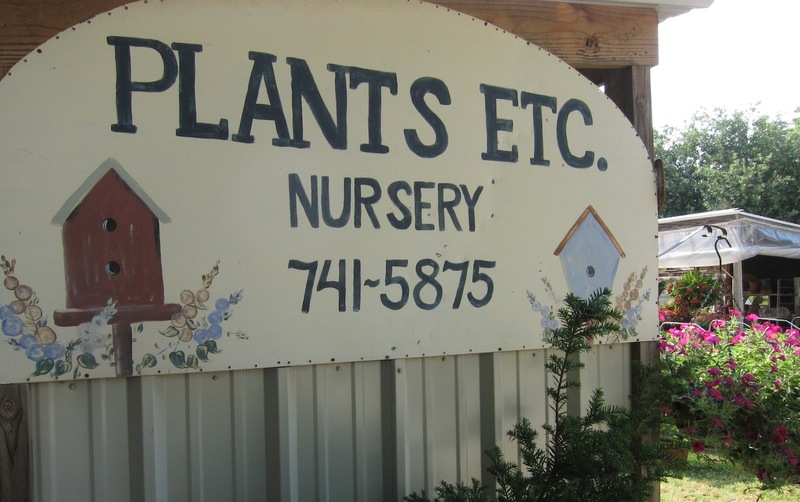 They have it all, in a nicely kept and beautiful setting, with nice greenhouses; they obviously care about quality but have nice pricing also. 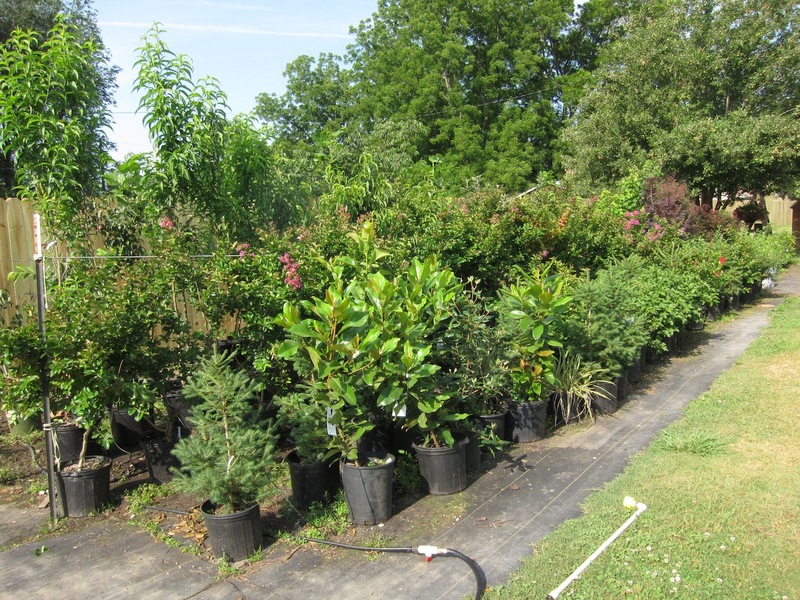 We purchased a good number of perennials for our home between Parthenon and Murray. 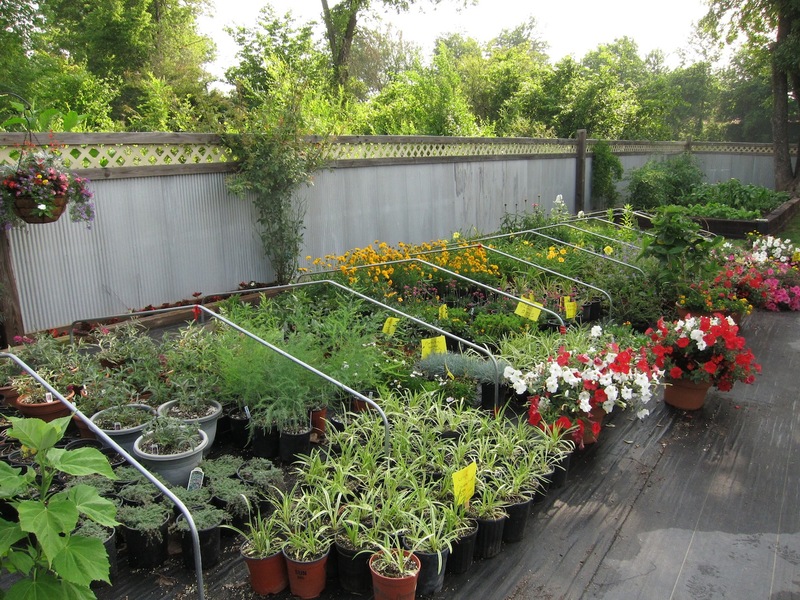 Every plant was well potted and nicely rooted. Just 20 minutes north of Jasper on the south side of Harrison. 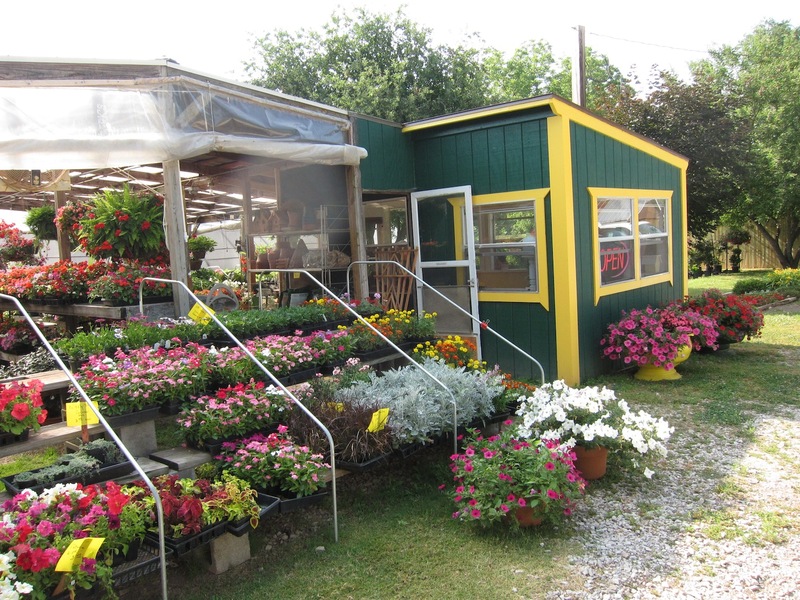 Call or visit Shirley at 3983 Highway 7 South; Harrison, Arkansas; 78601. Down nearly 2-4 inches from average since for May so far. Sad state of affairs !!!!! This is as of April 30, 2012; and I have registered only 0.41 inches of rain in all of May (our wettest month) through May 18th. Impacts: agriculture, water table, no boating on all upper sections of the Rivers; road dust; etc. I can’t remember the last time a float trip could not be made in the months of April-May from the put-in at Ponca on the Buffalo River ? This is through April; and we have had 0.41 inches of rain in May on Murray Road.